Originally built around 1500, Bärenwirth in Patsch can be found 8 km from the centre of Innsbruck off the Brenner Highway and 2 km from the Patscherkofel Ski Area. It offers en-suite rooms with free high-speed WiFi and a restaurant serving typical Tyrolean cuisine. Free private parking is available on site. The quiet rooms offer panoramic mountain views and come with solid wooden furniture, a TV and a private bathroom with a bath. A rich breakfast and typical Tyrolean specialities are served in the restaurant, also providing great mountain views. On Saturday and Sunday the breakfast time is extended until 11:00. A more various choisce of products is available as well. A grocery shop and a bakery are within a 5-minute walk of the hotel. 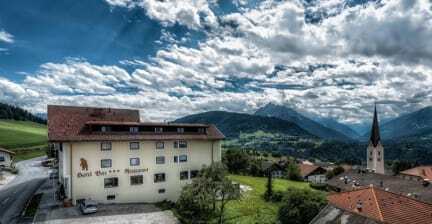 Outstanding place to stay in an incredible location above Innsbruck. Free breakfast, free bus tickets, and the most helpful, welcoming staff ever. A must stay! Beautiful scenery. One criticism, needs tea and coffee making facilities in room. Us Brits love a cup of tea when we arrive anywhere. This place was absolutely stunning. The views of the alps was breath taking getting to wake up and see that was unbelievable. The staff were polite, funny and informative. And spoke great English too. Overall 10/10 definitely want to return. This was our favorite stay on our two week vacation which included Zürich, Salzburg, and Munich. The service, the views, the size of the rooms were all perfect. The place was very clean and in a perfect location just outside of town but easily accessible with free parking and WiFi. We had a very nice time at the hotel. Everything was very clean, views amazing, at noon we could sit in the balcony outside the room looking to the mountains, really astonishing. Breakfast very good. 20 minutes by car up in the mountains, it's not close to the city, for us that was better! I would come back for sure. Our stay here was amazing! Everything was extremely clean and the view from our balcony was incredible. The hotel is accessible to the city by bus (just make sure you check the schedule because they don’t come as frequently as in some cities.) And the hotel arranged for a shuttle to come pick us up to go skiing! If staying here and hoping to ski, Patscherkofel was a great option as it was very close to the hotel and a was overall a great slope. Lovely big old hotel. The room and bathroom were very clean. The breakfast was a good selection and the view from the dining room was great. There is only one bus per hour from the hotel to the city centre costing 3.60 one way, please factor this in to your plans. Nice old hotel. Large rooms and large beds. The fourth floor was very hot, so avoid it if you can. Otherwise it was a decent place to stay, about a 15 minute drive from Innsbruck.